Our hanging washtub mason jar lights are a real hit! 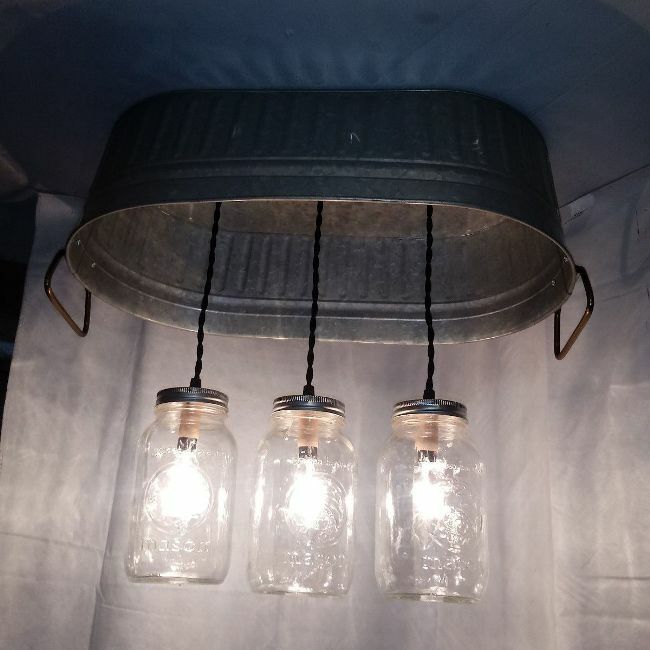 For any room you wish to dress up, these are custom made by me ready to go. 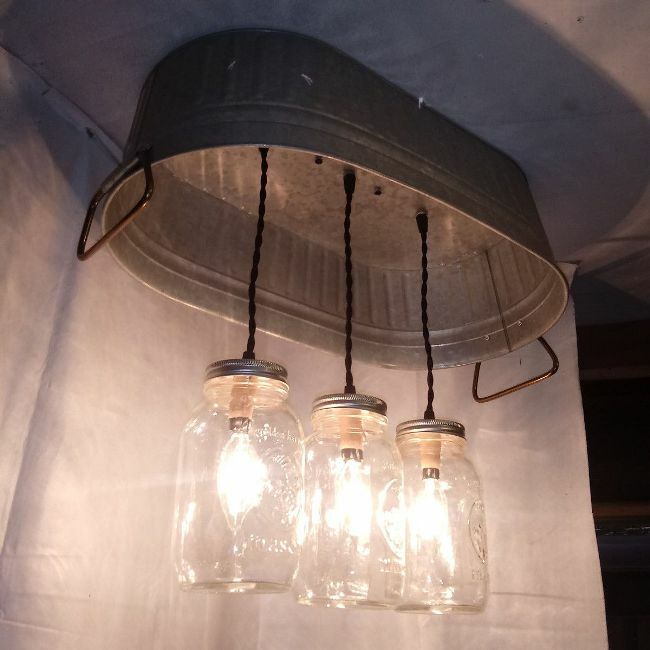 If you are into the rustic/country look hanging washtub mason jar lights add a conversation piece to any room. 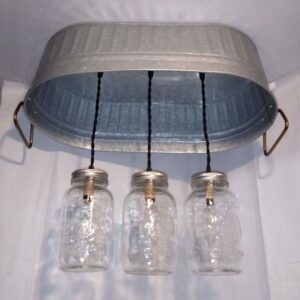 Mounted to your ceiling box from the center light, lights hang at about 18″ from ceiling to the bottom of the jar. You can request different lengths and I’ll make the adjustment to your specifications. 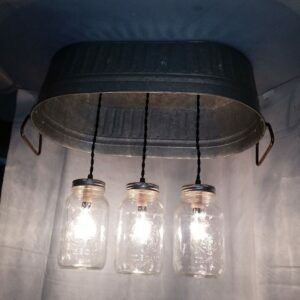 Made with antique style twisted black wire and quart-size mason jars. 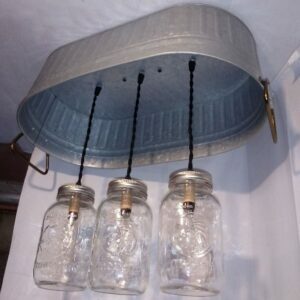 They can also be made with pint-sized jars on request. All are made for hard wire installation (wire to existing wire in home) but we can add just plug-in cord if you choose (Cord not included). 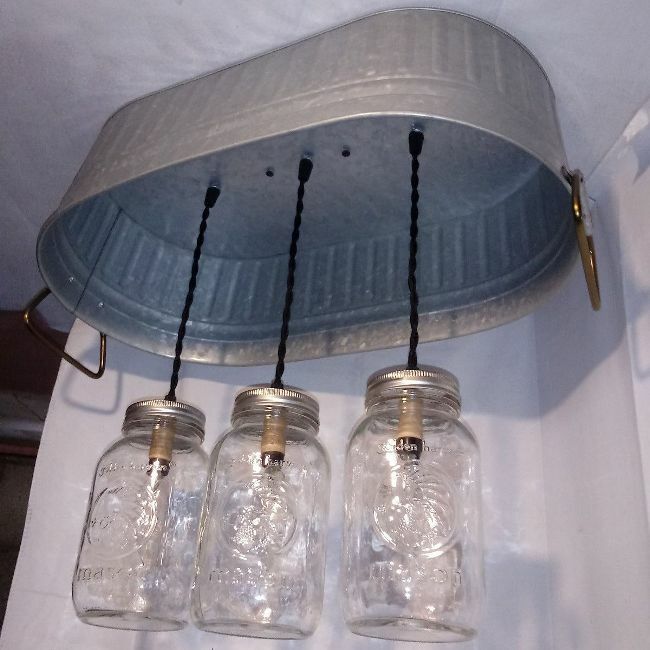 There are also two small holes drilled for mounting on to your ceiling box.